Our Motoring finance team has an outstanding maximum term contract opportunity available for an Accountant to lead our small Auto Services finance team based in Joondalup. Reporting directly to the Finance Manager Motoring you will be responsible for all facets of financial requirements for the Auto Services business unit which includes nine auto service centres and three mobile service vans, as well as leading a small finance team. Responsibilities include management of the accounting system, production of the monthly accounts, providing accurate and timely reporting and analysis, ownership of the balance sheet, and supporting the strategic planning, budgeting and forecasting processes. This role is offered as an initial full time eight-month max term opportunity and will start at the beginning of June. To succeed in this role you will have previous experience in a similar environment, be degree, CA or CPA qualified, be proficient in the use of Excel and Oracle (Units desirable). You enjoy building strong working relations with key stakeholders and your team and are capable of working autonomously and to strict deadlines with limited direction. Your strong communication, computer literacy, analytical and people management skills will provide you with every opportunity to successful in this role. If you are shortlisted, you may be invited to complete an online automated video interview as part of our screening process. If you would like further information about this vacancy, please contact Claire Douglas, Talent Acquisition Partner on 9436 4906. 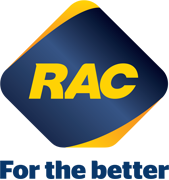 RAC is one of Western Australia’s most trusted brands and has been a part of the WA community since 1905. From our origins as a motoring club, we have grown to an organisation of over 1400 employees serving more than 1 million members with a diverse range of products and services. RAC’s difference is that we are a membership organisation, which means we don’t have shareholders and can reinvest our profits for the better of our members and the WA community. As an Equal Opportunity Employer, RAC encourages applications from all cultures, genders and abilities. At RAC we innovate and craft, advocate and campaign, challenge and reinvent. We want to be WA’s most valued organisation and our people are at the centre of this. We need people who want a career not just a job. We want motivated people who see the bigger picture and strive to make things better for our members and WA. If this sounds like you, then we would love to hear from you. If you need assistance or adjustments to fully participate in the application process, please contact recruitment@rac.com.au.